1. 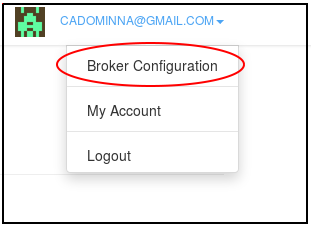 After registeration, select Broker Configuration from drop down menu. 2. In Broker Configuration page, you will be able to add users and pass keys under User Management section. Your current broker user name will be your e-mail address which you have been already registered to MaQiaTTo. 3. It is recommended to change your broker password before using it. Your initial broker password is same as with your account's. 4. The most important step is allowing topics in your Access Control List (ACL). Each topic will start with your e-mail as a prefix. 5. After adding the topics, you will see a list of allowed topic list that you are authorized to use. Use # and + as wildcards. 6. Now you can continue with How To Connect page.